Food Writer’s Diary: Cornish pasties, coming to a bakery near you? Cornish pasties, coming to a bakery near you? Last year I wrote a kind of disjointed article about hand-held food in different cultures. One item I mentioned was the Cornish pasty, an English meat pie that has long been popular in Minnesota and on Michigan's Upper Peninsula. You’d think you could find them in Wisconsin, too, but I can't say for sure. Well, I got an e-mail the other day from The Pasty Oven, a manufacturer in the town of Quinnesec, Mich., an Upper Peninsula town on the Wisconsin border, and one of my sources for the story. I think it is kind of newsworthy, or noteworthy at the very least. Read on for more information about pasties. 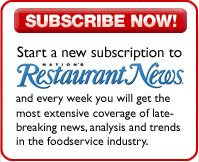 Below is excerpted, with my permission, from the May 19, 2008, issue of Nation’s Restaurant News. By the way, the people at the Pasty Oven make pasties for a living, so spelling doesn't need to be a priority for them. Get off their backs. A regional delicacy that flourishes in northern Minnesota and Michigan’s Upper Peninsula is the Cornish pasty. Pronounced pass-tee, the item originated in the British county of Cornwall. Tim Tikkanen, executive director of Main Street Calumet, which promotes events in that Upper Peninsula town, including the annual PastyFest, says the hand-held pastries were brought to the area in the 1840s, following the discovery of copper in the area. Skilled miners from Cornwall arrived to ply their craft. Upper Peninsula native Patty Tyler makes the pasties at Cherokee, a restaurant owned by her son and daughter-in-law Aaron and Lisa Tyler in Muskegon, Mich., which is not in the Upper Peninsula. She mixes ground beef with potato, onion and rutabaga. “You definitely have to have some rutabagas in there,” she insists. “If you don’t have a rutabaga, then it’s not a real original pasty.” The uncooked items are wrapped in a dough that’s somewhat more substantial than a piecrust, and then baked. They’re eaten with brown gravy or ketchup, or occasionally mayonnaise. “But they’re fine all by themselves,” she says. “There’s different ways to make them,” she says. “Some people use cut up chuck meat, but I like the meat to be evenly distributed with the potatoes. It makes a nice, solid meat pie,” she says. Tyler also makes what she calls a Celtic or Scottish pie, which is made with sausage instead of beef—although she says some sausage can be added to a Cornish pasty—and cabbage instead of rutabaga. Tikkanen says that turnips are a common addition to the local pasties. The fifth PastyFest, which started in 2004, will be held June 27-28. It includes a pasty bake-off in three categories—individual, commercial and nontraditional. In that last category, contestants have made breakfast pasties, Mexican pasties and others. One year a turkey dinner pasty won, Tikkanen says. and you can take a look on Facebook at my pictures of the state of Hidalgo and its Pastes. Those Cornish miners who dug out copper in the UP were our first, original, WI Badgers. They dug lead mines in the Mineral Point, WI area. They carried pasties into the mines for their lunches. Here's a link about Mineral Point where travelers can definitely find delicious pasties. Although these gourmet pasties may not be exactly authentic. The link also gives a recipe for old-time, traditional, WI-Cornish pasty. Take a look and you may not rush to the kitchen to cook one up. Better to go to Mineral Point for a WI gourmet-pasty run. http://tinyurl.com/mznc3d P.S. You can get pasties in the frozen food section of Madison grocery stores. Stella's Bakery makes good ones of different flavors. Mineral Point. That’s in southwestern Wisconsin, if I remember correctly, between Madison and the Iowa border (just kidding — i looked it up). It’s good to know that I was right in guessing that, if pasties are in Michigan and Minnesota, they’re probably in Wisconsin, too. I'm not sure I’ll be making a special trip to Wisconsin to pick some up, but if I happen to be in the Mineral Point area, I’ll definitely check them out. Mmmmmmm. My mother being from Australia, my bros and I got a hefty dose of meat pies and pasties growing up. We visited down under and they have street vendors and little shops that sell the pies injected with ketchup (tomato sauce) for a nice low price. I liken the pasty or meat pie to the American hot dog. You walk and eat and it's cheap. Ahhhh, if these treats go big in the US then I know this melting pot nation is the best! :D Thanks for the tasty read!